Fancy Gap's fog inspired an author to set his thriller in the Carroll community. 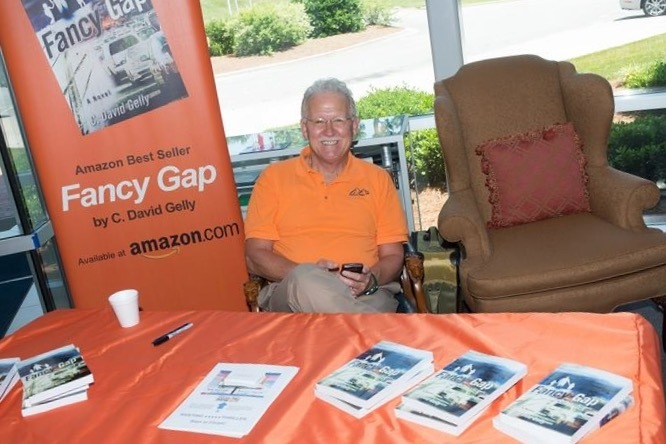 FANCY GAP — David Gelly saw possibilities in the famous fog of Fancy Gap — as a shroud of mystery for the setting in his fictional murder thriller. He’s often driven up U.S. 52 from Winston-Salem, N.C., to his getaway in the mountains, having to slash through fog where he couldn’t see two feet ahead. Like many drivers who have ended up in the multi-vehicle pileups on Interstate 77 or those who struggled to stay out of accidents in the area, the weather made an impression on Gelly. To write “Fancy Gap,” Gelly combined his experience as a corporate security supervisor with his love of writing and his interest in the local culture of the Blue Ridge Mountains to pen this tale of a loathsome crime. “On the bucket list: I said one day I want to write this novel,” he explained. Staples of Carroll County and Blue Ridge Mountain living appear in the piece, including the Devil’s Den Nature Preserve and the Hillsville Labor Day Gun Show and Flea Market, Buffalo Mountain, the Beaver Dam Trail and vintages from a well-known local winery. The inspiration came to him in October to write this story. After that, Gelly got up at 4 a.m. each Saturday and sat in his chateau with its panoramic views through the bay windows of the Piedmont. He continues typing until there were 1,000 more words on the page. “It was a great use of my time instead of going to the bar,” he joked. While the places have their basis in fact, few characters in the book do, Gelly stressed. Any similarity to real people is a coincidence. Quinn McSpain, the novel’s hero, is a 60-something widower, living like a hermit in his adopted mountain home and still mourning the loss of his spouse. He meets workaholic FBI agent Louisa Hawke at a retirement party in Arlington, but the couple’s budding romance gets interrupted by a crime that horrifies the mountain community. Gelly’s previous writing flowed in the non-fiction vein, as the author of many articles for the Twin City Track Club monthly newsletter. Gelly has directed considerable energy over the years to his running, participating in 50 marathons. His outdoor activities continue, only now he’s hiking, biking and kayaking in the mountains. Gelly provided security during his time in the U.S. Army, before going on to work for the IRS and then entering the private sector, including working for Sara Lee while it still manufactured clothing in Hillsville and Galax. No case he investigated in corporate security resembled the plot in the book. However, Gelly did help resolve a prominent scheme where a cotton buyer working to fill Sara Lee’s demand for the textile fiber took kickbacks from suppliers. The chief cotton buyer was found guilty of conspiracy, mail fraud and money laundering in federal court in Greensboro. An estimated $1.2 million was involved and the ringleader went to prison for 6.5 years. “Next year, when I retire, I won’t be bound by work,” he explained. • This is the first in a series of six "Gap" novels by David Gelly. Others planned for the series include Orchard Gap, Volunteer Gap, Willis Gap, Squirrel Gap and Low Gap. 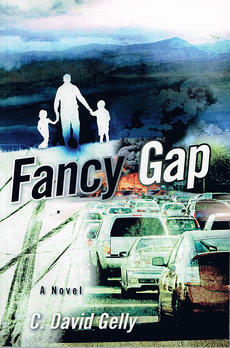 Fancy Gap is available on Amazon.com and comes in paperback for $14.99 plus shipping or $5.99 for a downloadable version. For more, see Gelly’s blog, www.makedustoreatdust.com.